Custom ROMs are a great way to add new features to your Android phone or tablet. However, it can get pretty annoying to wipe your device just to check a custom ROM for hours or days. Luckily, with MultiROM you are able to install as many ROMs as you like or even Linux on your Android device while keeping your main installation safe. Unfortunately, the official app is only available for Google Nexus devices. You also have to keep in mind that it’s basically a huge hack, so you might soft-brick your device. As with all Nexus devices, you’re always able to flash factory images to get your device running again. I highly recommend to make NANDroid backups before installing MultiROM. As always, neither I nor trendblog.net are responsible for any potential damage to your device. MultiROM is a multi-boot mod for Google Nexus devices. 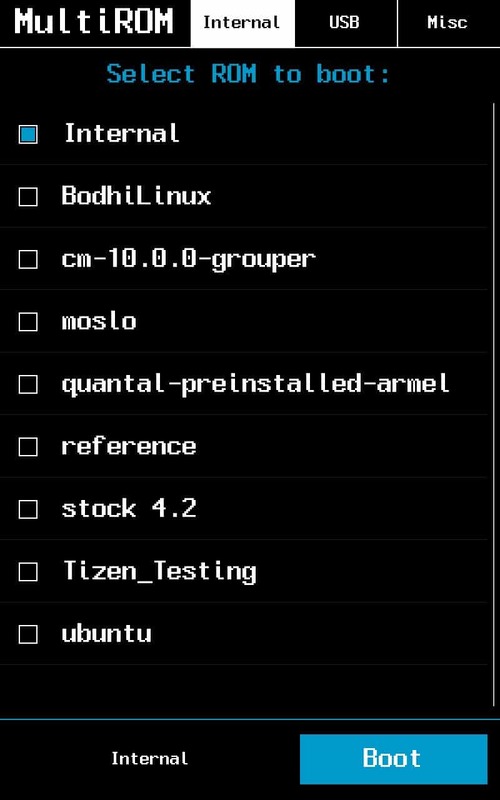 Besides being able to install more than one custom ROM on your device, you can also select unix based systems like Ubuntu Touch, Bohdi Linux, Plasma Active or WebOS. You can also boot your Android device from an external USB drive connected with an OTG cable. This can especially be helpful to restore a NANDroid backup. 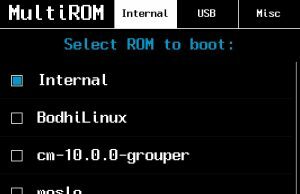 Every time you boot your device, a boot manager will offer all ROMs installed on your devices. Simply select the one you want to boot and you’re good to go! There are two ways to install MultiROM and I would highly suggest to use the MultiROM Manager app. If you want to, you can install it manually by flashing all files separately on your own. To be able to perform the manual installation your device cannot be encrypted and your bootloader has to be version 4.13 or higher. Patched Kernel – Flash in recovery. You are now able to install custom ROMs or other operating systems when booting in recovery mode or using the MultiROM Manager app. Enjoy!